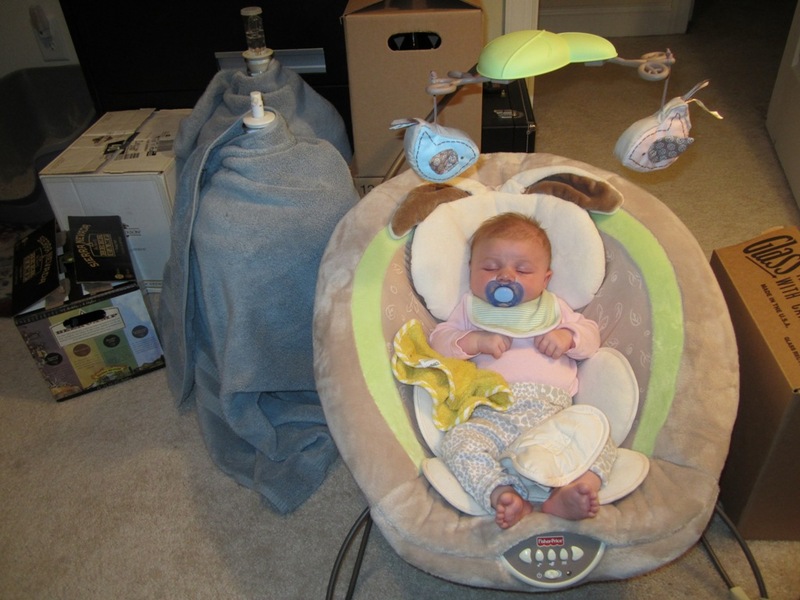 As I was futzing on the internet today and LB was sleeping in her bouncy next to me, I looked over and realized that it was the perfect photo opportunity to show just what it’s like to be a homebrewer with a new baby. Disclaimer: No babies and no beer were harmed in the taking of this photo. Thank God! This entry was posted in Babies, Brewing and tagged LB, Pliny The Elder by BrewsterMama. Bookmark the permalink.